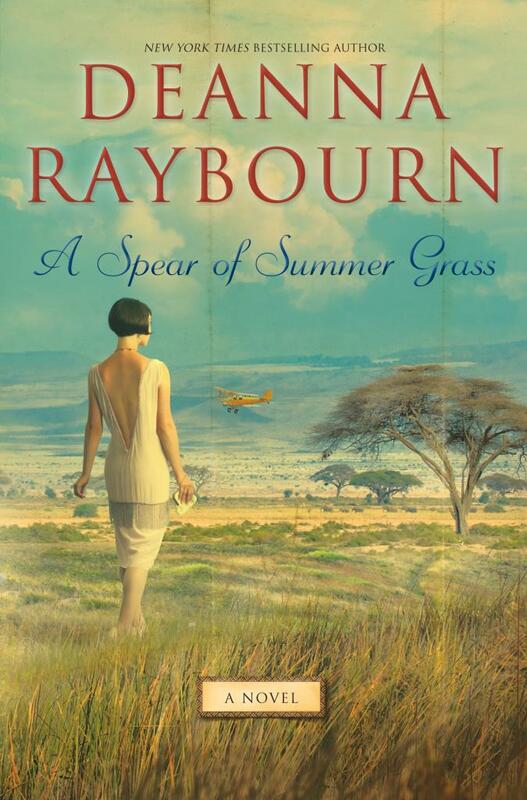 A Spear of Summer Grass is Deanna Raybourn's next full-length novel. Set in the twenties, it features a flapper who heads to Kenya "in search of adventure." I really don't need anything else to convince me, but I do love this cover and how different it is from her others. It screamed Out of Africa the first time I saw it, but my favorite bits are the aged creases, as though it were a faded photograph someone had folded and kept in her pocket. Due out May 1st or April 23rd (depending on where you check). I am so looking forward to the spring now. Fortunately, we've got the Lady Julia Grey Christmas novella coming out in just a couple of weeks to tide us over until this one comes out. Oh that cover is gorgeous - I love the marked change from the Lady Julia novels, but it's still so beautiful. I can't wait for it! I'm slightly worried that being in the UK I may not be able to get my little grabby hands on the LJG novella when it's released though! I know. It was the perfect direction to go coverwise. Oh dear. Surely they'll release it there as well! I am so excited for this book. I love Lady Julia, but I'm excited to see what Deanna Raybourn can do with this time period. She really hasn't disappointed me yet. :) When I see the cover and the little blurb we've gotten, I'm reminded of M.M. Kay's "Death In..." series, which is one of my all time favorites. LOL - I'll probaby try to dampen my enthusiasm down to something more reasonable before it's actually released but for now I'm blissfully happy. That's the thing with authors who always come through for you. You don't feel that nervous terror when they embark on a new thing. I haven't read any M.M. Kay. You recommend then? I love M.M. Kaye (oops, I had to fix the spelling) and her Death In books are some of my very favorite books to re-read. They are dated and the newer covers are nasty looking, but they really take me to another place and time. Hm . . . sounds lovely. I will have to explore. Flapper dress? 20s? I'm in! :)) And you're right, the cover "creases" are a nice touch! Hehe. Yeah, there's really nothing not to love about that synopsis. Raybourn, flappers, and Africa? BE STILL MY HEART. I knew you would be on board. I found your site on someone's blogroll. The cover of the book is an immediate attention-getter and I had to see what it is about. The cover's gorgeous and I really thought it was an old vintage book at first! I'll be keeping this one in mind. Thanks for sharing. Glad you found your way over here, June. :) It really does look vintage, doesn't it? The art designers really nailed it with this one. Thanks for the header compliment! My brother is a lovely artist and he created it for me. I am looking forward to both this book and Lauren Willig's African set book too! Interesting that they are both coming out at around the same time! That is interesting! I had no idea.